Stress management is the #1 requested programming across the board for wellness programs. 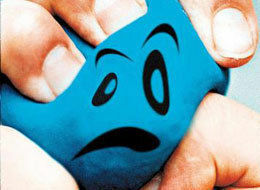 Some even say that stress is the root of all disease and the deterioration of your health over time. This said, we'll demo and challenge you to find new ways to manage your stress throughout the year. Below are 6 areas to feature throughout the year. As we move along we'll provide a lunch and learn that goes along with each topic as well as suggestions for demos and programming for your group. Use your imagination and feel free to make it your own. -Click and Start Here with the "Suggested Programming Sheet"
-There is no lunch-n-learn provided for this section, however we encourage you to conduct a lunch-n-learn by taking suggestions of comedy videos or programs that you could show as a lunch-n-learn. We ask that you have the group evaluate the their mood prior to the programming and after so they can see the positive benefits. -Click and Start Here with the "Suggested Programming Sheet" Simply suggestions to get your creative juices flowing.